Progressive jazz frolicking on melodic polyrhythms. This album features two guests: Olivier Koundouno and YéYé Toon. Olivier Koundouno's cello dances on the interweaving background of MMM, a trance balanced between the written score and improvisations. YéYé Toon's unique scatting style is featured in Polymorphisme, a multiple time scale tune, and in Daga dit Gouda, a piece based on a scattered jungle drum line. Compositions: Émile Maras, Éric Epstein, Lionel Feugère, Marc Évrard (7), Mathieu Feugère (1,3,6), Olivier Koundouno (4,8), Raphaël Hardy (2,3,4,5), Stéphanie Morland, YéYé Toon (2,6). 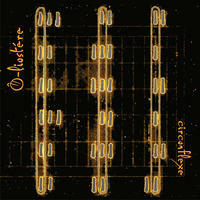 License Progressive jazz frolicking on melodic polyrhythms by Oliostere for your project. Play the music of Oliostere in your restaurant or store.